This week the Christmas season draws to its close with a leap across space and time. On the Epiphany, we celebrate the Magi adoring the newborn child in Bethlehem. Two days later, we see the adult Jesus baptized by John at the Jordan River. While the biblical narrative skips many years in the maturation of the Messiah, people today can easily catalogue every moment of their lives. Camera features on smartphones allow us to capture all that happens with just a point and a click. And with a flip of a button, we can turn the viewfinder inward, shifting the focus to ourselves. The “selfie” is now a staple of social communications. For some, it seems to be the only pictures they take! Not having to get someone else to take the photo is quite convenient. Being able to capture ourselves in the moment heightens our sense of being participant, not bystanders, in life’s happenings. Posting our selfies, we presume the rest of the digital world cares, too, and the accumulation of “likes” bolsters our self-esteem. And there’s the proverbial rub! In his recent book, “Selfie: How We Became So Self-Obsessed and What It’s Doing to Us” (Picador, 2017), Will Storr recounts the “quasi-religious” story of the self-esteem movement and the great con perpetrated by its unwitting adherents. According to Storr, it all began in 1980s California with a political task force that championed raising self-esteem as a way to combat social ills. Given credibility by a university report on correlation data, a falsehood which Storr debunks, the drive toward creating a “social vaccine” of “unconditional positive regard” has transformed virtually every realm of contemporary life, from politics and criminal justice to education and parenting. But Christmas tells another story, with very different pictures that invite us to change our focus even beyond the holidays. The characters have no cell phones. St. Joseph took no selfies (despite a popular hipster creche). All eyes are upon the child. More significantly, the gaze of the child shows where God looks – not to the divine self, but outward to a world in need of salvation. The positive regard for humans that God demonstrated in becoming one of us is fulfilled in his dying for us on the cross to save us from the eternal consequences of sin. Professing faith in the Incarnation and Passion of the Christ counteracts what Storr calls “the flawed yet infectious notion that, in order to thrive, people need to be treated with unconditional positivity.” It is more consistent with the ancient philosophical wisdom “know thyself” – something deeper than discovering one’s inner self or photographing the outer self. The ubiquitous selfie measures things differently. Fruit of the self-esteem movement, it misses the mark in terms of what matters most. The adoring Magi and the deferential Baptist point us in a different direction for the new year – with a focus on Him alone who holds the power to cure our social ills and to lead us to everlasting happiness. That’s the lesson of Christmas, even after the decorations are put away. As movements go, the Nativity teaches us that self-acceptance not self-esteem is the real way to human fulfillment. 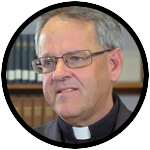 Father Thomas Dailey, O.S.F.S., holds the John Cardinal Foley Chair of Homiletics and Social Communications at St. Charles Borromeo Seminary in the Archdiocese of Philadelphia.